brain, the neuron carries out basic cellular functions; however, neurons have unique function, like sending the electrical signal through the brain. This study guide will go over the different types of neurons, the parts of a neuron, and what their functions are. Sensory neurons: these neurons get sensory information from your body, such as pain or temperature. The neurons then send the information to the central nervous system, which is why they are also called afferent neurons. 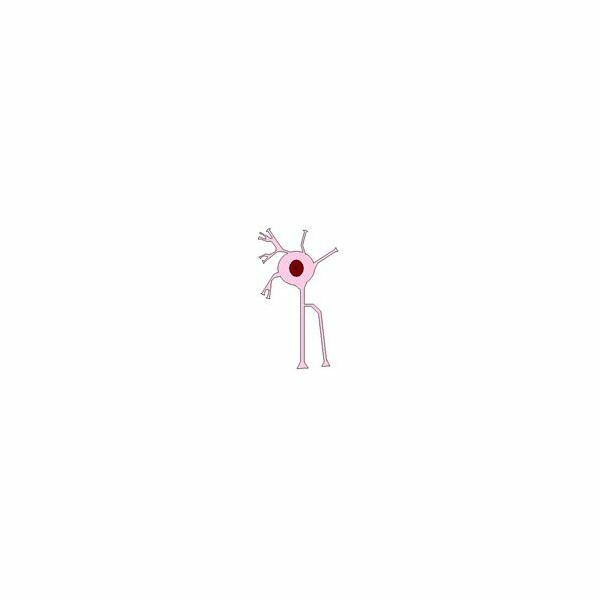 Motor neurons: these neurons send the information to your muscles, telling them to move when something hurts or if the stove is hot. The neurons relay the information from the nervous system system, which is why they are also called efferent neurons. Interneurons: these neurons act as a relay between the sensory and motor neurons. Bipolar neurons: these neurons have two extensions from the soma. Use the images in the gallery below when studying these three formations types of neurons. Practice drawing your own neuron, and try labeling the other structural types of neurons. Image Credit: Bipoloar, Pseudounipolar and Multipolar Neurons by Elizabeth Stannard Gromisch. All rights reserved.